"Yamaha are the most reliable drums with the highest quality hardware. I can only trust one name with all my touring and playing needs. Yamaha." From a young age Nathan could never take his eyes off the drummer. After a few years of hitting pots, pans and even phone books, he began learning drums at the age of 9. His early years were spent playing at his local church in Melbourne’s South-East and it was there where he refined his musicianship, musicality and live performance techniques. 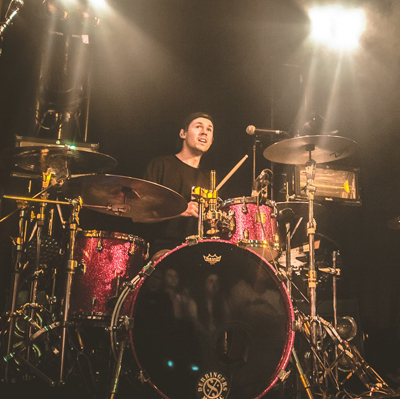 Currently the official drummer for critically acclaimed artist Dylan Joel, Nathan has performed at countless venues across the country, performed live on triple j's Like A Version and smashed major festival slots such as NYE on the Hill, Pyramid Rock, Come Together, Groovin The Moo & Big Pineapple.